The latest death toll has 58 people dead and 489 others wounded. Officers found more than 40 firearms belonging to suspect Stephen Paddock: 23 firearms at the Mandalay Bay hotel room and 19 at his home in Mesquite, Nevada, Clark County Assistant Sheriff Todd Fasulo told reporters. 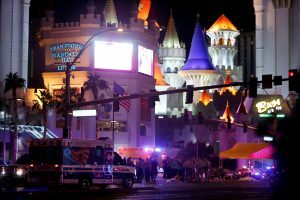 Paddock is still believed to be the sole gunman, Fasulo said. The motive is unclear. A gunman fired into the crowd at an outdoor concert Sunday night along the Las Vegas strip, killing at least 58 people and injuring more than 400 others. It is considered the deadliest mass shooting in modern U.S. history. The June 2016 shooting at Orlando’s Pulse nightclub left 49 people dead. 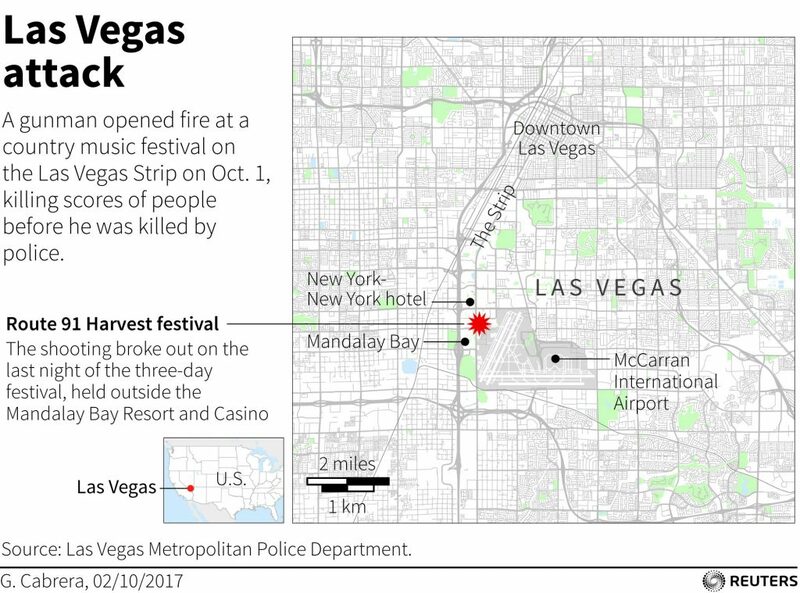 Around 10 p.m. local time on Sunday, as country music artist Jason Aldean was performing at the Route 91 Harvest Festival, a gunman began to fire from the 32nd floor of the nearby Mandalay Bay Hotel onto the crowd of more than 22,000 people. Members of the audience began screaming and running to find cover. The gunfire lasted about 5 to 10 minutes, witnesses said. Aldean posted on Instagram that he and his crew were OK. “It hurts my heart that this would happen to anyone who was just coming out to enjoy what should have been a fun night,” he said. A SWAT team from the Las Vegas police department located the room from which the suspect had been shooting. The team found the suspect dead, according to a statement from police. Clark County Sheriff Joe Lombardo said he believed the suspect killed himself before police arrived. Lombardo identified the gunman as Stephen Paddock, 64, of Mesquite — a town outside of Las Vegas. Lombardo said police located more than 40 firearms belonging to Paddock; 23 firearms inside the hotel room and 29 at his home in Mesquite. Police have yet to determine a motive. The suspect’s brother and neighbor described him as a professional gambler and a real estate investor. Police do not believe Paddock was associated with a militant group, Lombardo said. 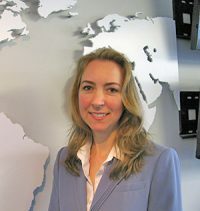 Paddock’s girlfriend, who was in the Philippines at the time of the shooting, returned to the United States where she was met by FBI agents for questioning. Police in the Dallas suburb of Mesquite, Texas told the Associated Press that Paddock lived there from 2004 to 2012, though it may have been longer. Lt. Brian Parish told the AP that he had no indication officers interacted with Paddock during that time. Officials said in addition to the firearms, they found explosives and several thousand rounds of ammunition in Paddock’s home. The FBI is investigating the shooting and asking anyone with videos or photos from the scene to call 1-800-CALLFBI or 1-800-225-5324. At least 58 people have died from the attack, and 489 people are injured, police said. The injuries were from bullets and efforts to flee the parking lot. On Tuesday, hospital officials said at least 45 people remain in critical condition. Lombardo said several Las Vegas police officers were killed or injured in Sunday’s attack. The AP reported some off-duty officers from the Los Angeles Sheriff’s Department also sustained wounds. Las Vegas police have set up a phone number for those looking for their loved ones: 1-866-535-5654. And police have set up a family reunification area at the Las Vegas Convention Center. Hours after the shooting, people in Las Vegas lined up around the building to donate blood. Centers soon had enough donations, thanks to an “overwhelming turnout,” Fasulo said. He also held a moment of silence at the White House with first lady Melania Trump. The president plans to travel to Las Vegas on Wednesday to meet with families of the victims, law enforcement officials and first responders. He ordered flags to be lowered half-staff at the White House, public buildings and at military posts until Friday night in honor of the victims. Las Vegas is a “resilient and benevolent town that will not be intimidated by acts of violence,” she said. House Minority Leader Nancy Pelosi, D-Calif., sent Ryan a letter asking him to create a select committee on gun violence. She also asked Ryan to bring legislation that would close the federal background check loophole on gun purchases to the house floor for a vote. Democratic Rep. Steve Cohen of Tennessee tweeted that Democrats were on the “NRA hit list.” “Why do we lead the world in non Isis mass killings? Too many crazies?too many #guns?laws to keep crazies from guns?” he also posted to Twitter. The PBS NewsHour’s Joshua Barajas contributed to this report.